Tom Oliphant’s challenge for the 2017/18 Porsche GT3 Cup Challenge Middle East title came to a heart-breaking conclusion in the penultimate meeting of the season in Bahrain (16/17 March), after contact from his chief championship rival caused a first retirement of the season. With Oliphant unable to race in the season finale next month due to his Dunlop MSA British Touring Car Championship commitments, he headed into the two races around the Bahrain International Circuit knowing that he would have to wrap up the title with a weekend to spare. The 27 year old had a great opportunity to do exactly that in Rounds Nine and Ten though, with a brilliant record of four victories and four second place finishes in the previous eight races having earnt him a nineteen point lead atop the championship standings. Oliphant started the week in style by setting the pace in both pre-event testing and the opening free practice session on Friday morning, however he would just miss out on pole position in qualifying as a lap time just 0.058s off the best would put him third on the grid. After maintaining the position at the start of race one, Oliphant would immediately challenge his title rival Al Faisal Al Zubair over the course of the opening two laps, with his immense pressure seeming to pay off as he dived down the inside at the first corner on lap three. With his Lechner Racing machine clearly ahead in the braking zone, Oliphant was stunned as Al Zubair sharply turned into the corner and made heavy contact with the rear left wheel of his car, causing a broken suspension and an immediate end to his race. With the two races he was missing in the season finale already set to be his two dropped scores in the final standings, the retirement would effectively end his championship aspirations, with a five place grid penalty for Al Zubair proving scant consolation. The Leamington Spa based racer headed into the second day of action aiming to put that disappointment behind him and bring his spell in the championship to a close by challenging for victory, and he gave himself a great chance of doing so by qualifying on the front row. Oliphant slipped to third at the start of the race, but he hunted down pole-man Charlie Frijns and stormed past on lap five. With an unassailable gap to the race leader, he would remain in second for the remainder of the race with a composed drive to the chequered flag. 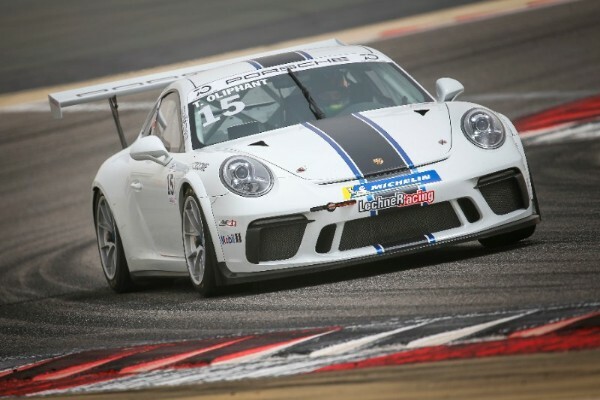 The podium finish means that Oliphant ends his Porsche GT3 Cup Challenge Middle East season with a superb record of four wins and five second place finishes in ten races, with a final total of fifteen podium results in twenty races across two campaigns. That race also brings to a close a memorable two and a half year spell in one-make Porsche competition for Oliphant, who contested the Carrera Cup GB, GT3 Cup Challenge Middle East and selected Mobil 1 Supercup races – with fantastic consistency seeing him finish 48 of his 55 races in the top six. Tom Oliphant: “I’m gutted to have come away from the weekend with anything other than the championship title. Having led the way right from the opening meeting, I feel like I deserved the right to fight for the honours on my last day of racing out here, but that opportunity was taken away from me. “I’m confident that I would go and claim title success in the final rounds, however due to my BTCC commitments this won’t be possible. Sometimes the situation is out of your control and sadly on Friday this was the case for me. I have given it everything and just came up short. “My time in Porsche’s has come to an end and I want to thank Redline Racing and Lechner Racing for running me in the championship’s and always giving me a great car, a large part of which was due to my mechanic Alex and engineer Frank, who have been there for every race. 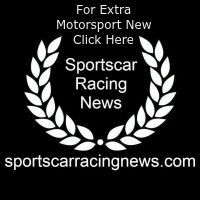 Oliphant’s attention now turns solely to his preparations for his maiden Dunlop MSA British Touring Car Championship season, which began with recent successful tests at Snetterton, Donington Park and Brands Hatch in his Ciceley Motorsport Mercedes A-Class. More tests are planned ahead of the opening rounds of the season at Brands Hatch on April 7/8, including during the championship’s official launch at Donington Park on Tuesday 27th March, where Oliphant will unveil his sponsors and livery for the new season.